This elegant Handmade Hummingbird Ceramic Cremation Urn is a gorgeous memorial tribute for a beautiful person who loved nature, flowers, and hummingbirds. 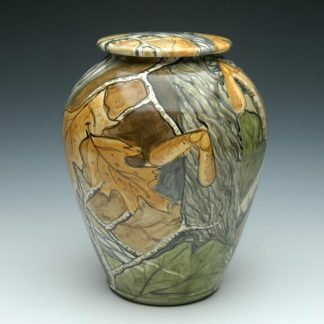 Handcrafted individually in the USA by a talented artisan. 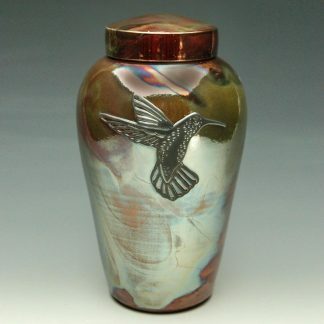 These ceramic memorial urns boast an artistic look that centers on the peaceful imagery of the hummingbird. 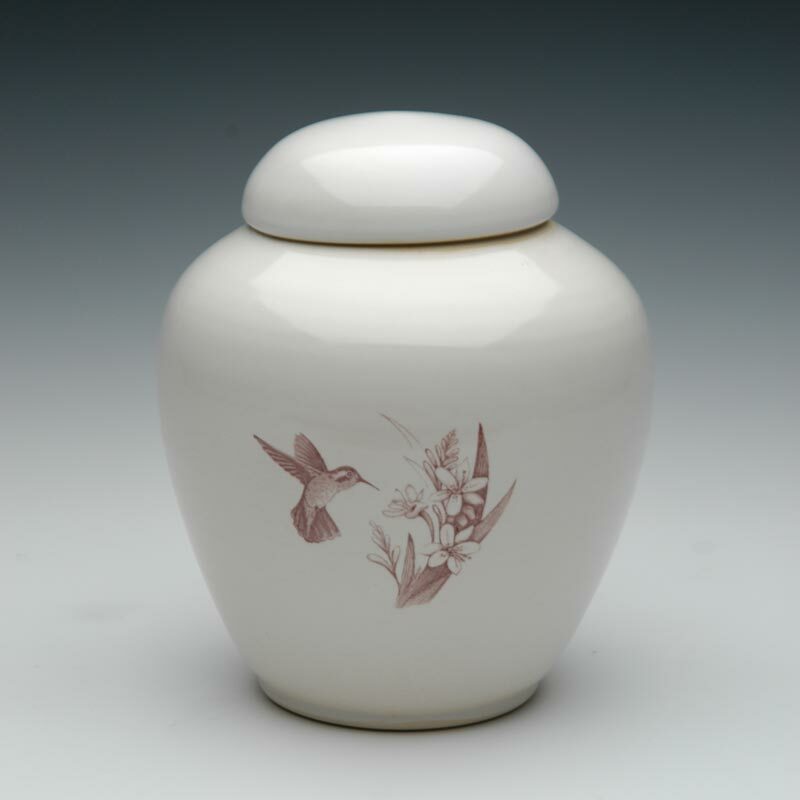 Your loved one’s memory will be cherished and celebrated in a special way as this floral art piece urn is on display at the memorial service and in your home. 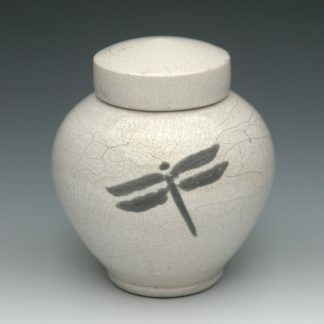 The Handmade Hummingbird Ceramic Cremation Urn is available in several sizes to suit your situation. 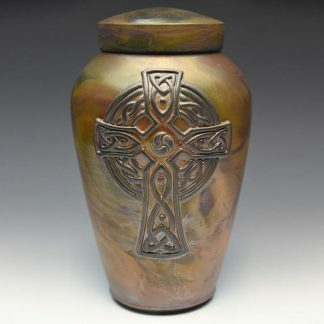 These urn sizes hold 180 cubic inches (for a 180 lbs individual), 220 cubic inches (for a 220 lbs person), or 375 cubic inches (companion size for two people). 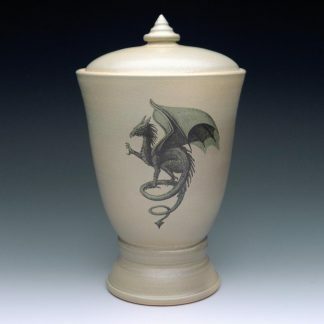 Each and every ceramic urn is handcrafted from start to finish in the Pacific Northwest within 3-6 weeks. Because this is a handmade item, some variations in size and finish are to be expected. This means that your loved one’s memorial will be a true original. Free standard ground delivery to your door.